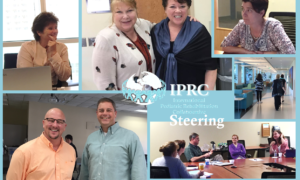 The IPRC Steering Committee is searching for additional members willing to serve. The Committee is comprised of eleven leaders from IPRC member organizations; it is intentionally diverse by background, organization, and location with members representing many facets of the rehabilitation team. This key group of leaders works closely with the IPRC Director and Committee Chairs to guide the organization and prioritize initiatives. The Steering Committee stays abreast of what is happening in the pediatric rehabilitation community to inform others and share ideas. Ideal candidates possess a strong background in pediatric rehabilitation and the authority to influence practices at a high level within their organizations. To request more information or nominate a participant, contact us.